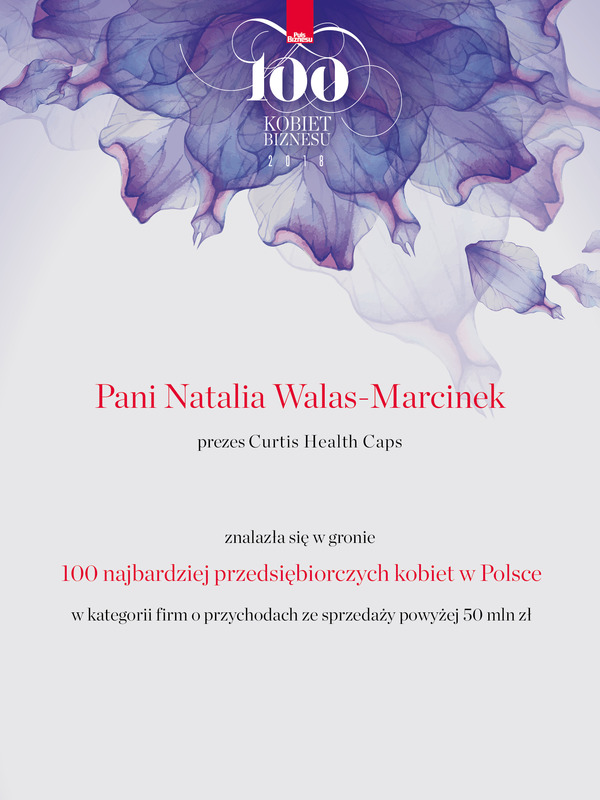 We are happy to announce that Mrs Natalia Walas Marcinek, President of the Board of Curtis Health Caps Sp. z o.o., has been ranked among 100 most entrepreneurial women in Poland (13th place in the category: companies with sales revenue above PLN 50 million). The contest is held by the Puls Biznesu daily.